Chris Hemsworth in Avengers: Endgame. 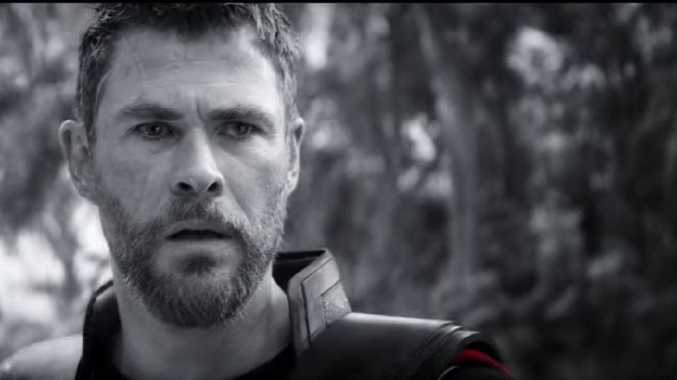 MARVEL has today released a dazzling new trailer for upcoming superhero spectacular Avengers: Endgame, set for release next month. The sneak peek, which comes after the first trailer released last December, opens with a stranded Tony Stark (Robert Downey Jr.) recording a message for his fiancee Pepper Potts, before a series of flashbacks featuring some of the film's core cast. Then, the money shot: the superheroes marching together in their matching Avengers outfits. And it seems viewers might be in for a long night at the movies when the film finally drops on April 26 - Joe Russo, who directs alongside his brother Anthony, told Collider.com "We're still at the three-hour mark." "Right now, we think the movie is playing well and we've had great responses from our test audiences and we're feeling very good about where it is," Russo said. "We're still doing work to it. We're not done with it." "We have screened the movie four times for audiences now. For the first three screenings, not a single person got up to go to the bathroom," he told Collider.